The recreation of the Fokker-Flugzeugwerke G.m.b.H. as a special museum The idea itself is really quite simple. We have in mind to create a special aviation museum that compares to nothing else in the world. Not just a few sheds housing a collection of some aircraft put on display, but a real reproduction of the actual area of the Fokker Flugzeugwerke G.m.b.H. as it existed in the small city of Schwerin called Görries, including the airfield where the aircraft could be shown in flight. 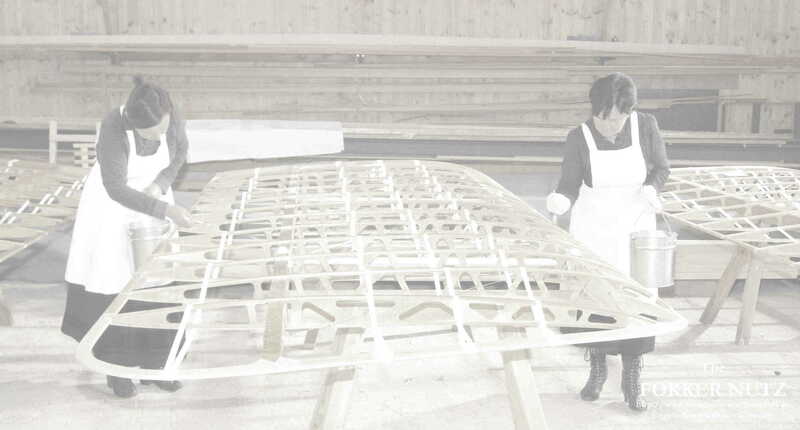 The Fokker Flugzeugwerke Museum has to be considered not only a large project, but a &ldquo;great work&rdquo; as one friend quoted. See the brochure for more details about the museum. Its ambition is to be not only a repository for all things related to German aviation and its technology of 1912-1920, but a living, working museum for aircraft production and flight. In order to achieve this dream, a lot of work has already been done, in terms of archive material, production of a number of aircraft. But so much more is needed to complete this dream. So how can you contribute towards this &ldquo;great work&rdquo;, and be a part of something truly remarkable? Have a look at the FokkerNutz page for more details. The museum will need items to make it real, so see here for things we need. or use the below button. By donating any amount or item to the museum project you support the dream. Please note that we are not a tax deductible non-profit organisation, but it is a private venture. We will have to pay taxes for any donations once we actually use them for a project. None of the money you donate can be refunded. Record keeping will be done to the best of our ability. The money donated will only be used for the indicated projects you donated for, unless the money exceeds the value if the item, in which case it will go into the general museum pot, or another item. Die Wiedererrichtung der Fokker-Flugzeugwerke G.m.b.H. als Museum zum Anfassen. Die Idee an sich ist ziemlich einfach. Der Gedanke ist der, ein Museum zu errichten, das im Bereich der Luftfahrttechnik seines Gleichen sucht! Nicht etwa die Errichtung einiger Hallen, um darin eine Ansammlung von Flugzeugen zur Schau zu stellen, sondern ein kompletter Nachbau des Areals der Fokker-Flugzeugwerke G.m.b.H. inklusive Flugfeld, wie es damals in dem Teilort von Schwerin, Görries, existierte. In den Originalnachbauten der Hallen sollen nicht einfach nur die Fokker-Flugzeuge ausgestellt werden, sondern der Fertigungsprozess der Maschinen in der damaligen Serienfertigung soll anschaulich anhand von originalgetreuen Nachbauten und Originalteilen dargestellt werden. Für die Verwirklichung dieses wirklich großen Traumes hat das Fokker-Team-Schorndorf fast alle nötigen Vorraussetzung. Außer - Kapital. Also, wie können Sie uns helfen dieses ambitionierte Ziel zu erreichen und gleichzeitig Teil einer besonderen Aufgabe zu sein? Schauen Sie sich unsere FokkerNutz Seite an, um Anregungen hierfür zu bekommen. Laden Sie hier unseren Entwurf für ein Konzept herunter. Click here to make these pages your defaul web site!